We had our first ever Paint Night, quote sign party on Friday, and we had some really cute projects! I was so excited to hang up my sign that I didn’t even wait until the mess was cleaned up. 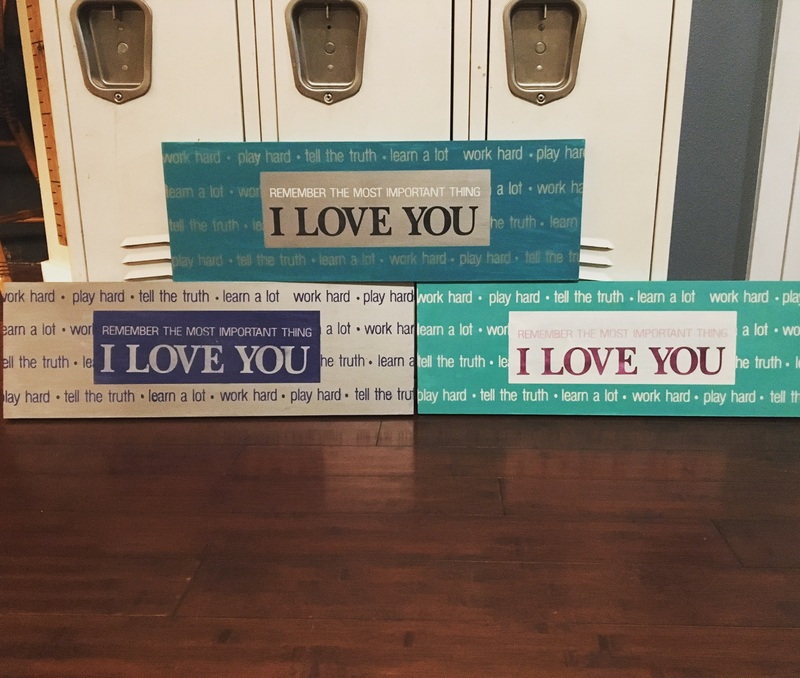 Adrienne painted three signs to go in her cute kids room. Aren’t these adorable? And the Family Rules turned out cute too.